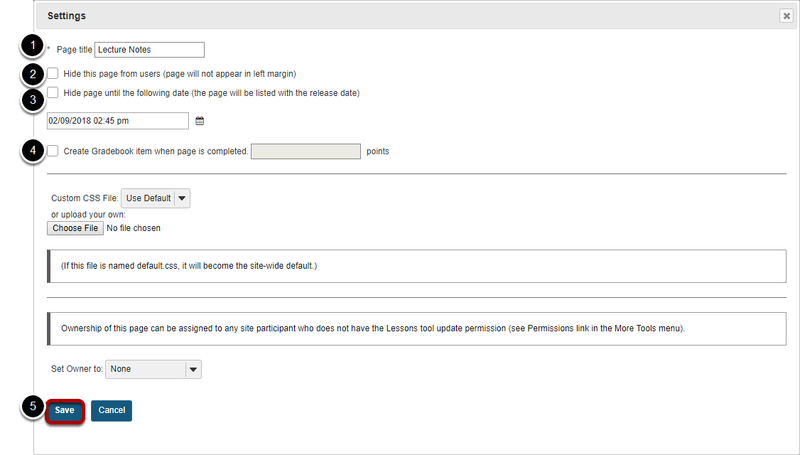 Sakai Community DocumentationSakai 19 User Guide (English) LessonsHow do I add subpages to a Lessons page? Instructors can add subpages to a top-level Lessons page. A top-level Lessons page is a Lessons page that is listed by name in the Tool Menu. 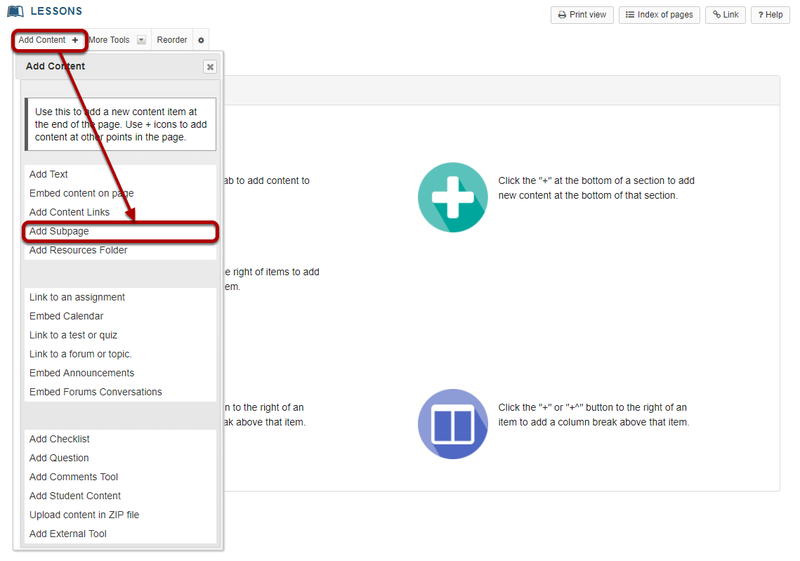 Subpages are connected to top-level Lessons pages by a link or a button. Zoom: Click Add Content, then Add Subpage. Zoom: Enter the subpage information. Clicking on the Back button takes the user back to the top-level page. The Settings icon is a gear-shaped icon located on the top left of the subpage. Zoom: Edit the title and properties of the subpage as needed. Check Create Gradebook item to automatically create an item in the gradebook when the page (and any required items on it) is completed. Prev: How do I limit access to Lessons page items to groups? Next: How do I view the Index of Pages?